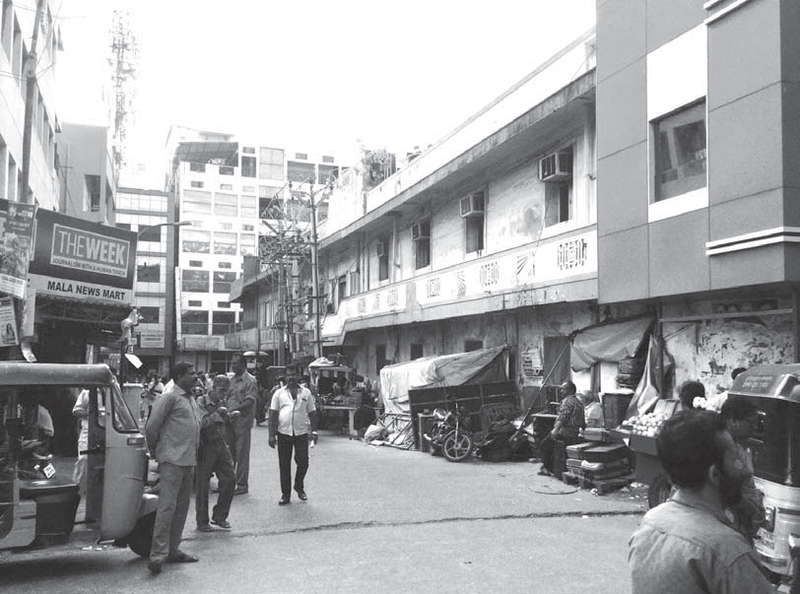 Close on the heels of the demolition of Binny’s Building on Armenian Street, the old D’Angelis building, which stood at the corner of Anna Salai and Blackers Road has been ground to dust. Those not so familiar with its past will know of it as Bosotto’s or, better still, associate it with the Bata Showroom that functioned for long from its ground floor. That it was not in any weakened condition is evident from the fact that it has taken more than a year to bring it down. That the High Court of Madras listed the structure as Grade 2a in the Justice Padmanabhan committee report obviously did not offer any protection to it. It just goes to show that the builder-bureaucrat nexus can thwart any legal ruling. There will always be a way. That the core of the building dated to 1906, has also not made any difference. 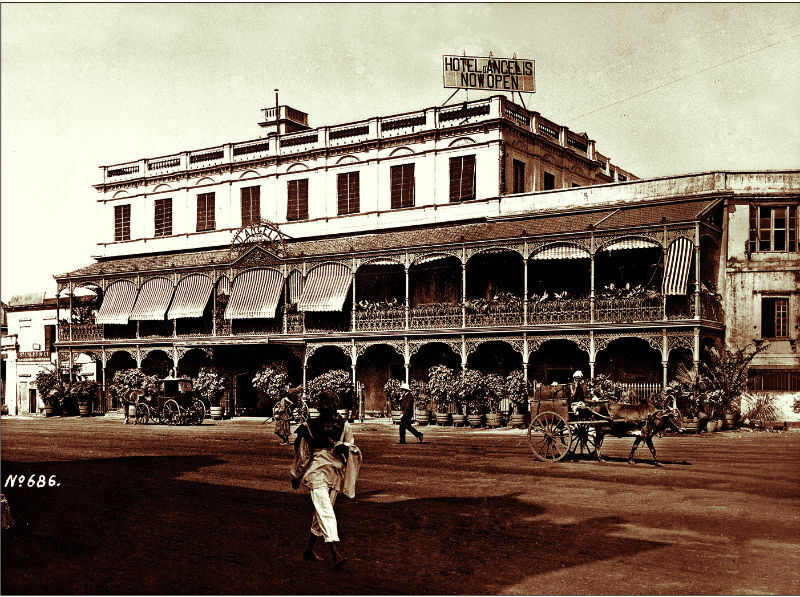 The exterior of the building had undergone considerable alteration in the hands of several successive owners. But the interior, apart from sections gutted by a fire that invariably comes to all heritage buildings in the city, retained much of its original grandeur. INTACH had even graded its state of maintenance as fair as late as in 2006. From then to demolition within a decade is monstrous to say the least. Rather ironically, it is this modified exterior that is being retained after the interiors have all gone. This is to comply with the Government’s interpretation of the High Court order that it is only the facade of a building that needs to be protected. A NITI Aayog survey, in collaboration with the World Bank, published in February 2018 ranks Tamil Nadu as the third best State in India for 2015-16 in terms of medical infrastructure. At the ground level, however, results of a grassroot study by an NGO reveals unsatisfactory working conditions in Primary Health Centres and tertiary hospitals. In Tamil Nadu, according to the local study, state-run hospitals are not the first choice for treatment of TB. In rural areas, especially, three out of five, that is, 60 per cent, go to private hospitals before enrolling in public centres/hospitals for free treatment. By then people have spent considerable sums of money besides losing valuable time in early detection and timely treatment. Delay could lead to complications besides communicating the disease to others in the community. Quite often what seems like minor features have an important bearing on the usefulenes of the service to the beneficiary – example: working hours of the facility. A pre-project sociological survey ensures that every feature of the project recognises the target beneficiaries’ needs, cultural compulsions and habits. The report of the local NGO records that 49 per cent paid bribes for service, 73 per cent experienced poor/average drinking water availability, over 45 per cent had to suffer long wait and most said that public health centres are not open in the evenings. It must be said, however, that as high as 69 per cent were satisfied with services by doctors. The Words in Indian English: A Guide to English Communication in South Asia by S. Muthiah, (Palaniappa Brothers) was recently released. The overflowing hall reflected the audience’s interest in the etymological theme of the evening and their high regard for the author and his writings. Dr. Albert P. Rayan, a Professor of English, and Editor of the Journal of ELT, expounded the implications of adapted English and how even that was not uniform all over the country as each region had its own cultural variant. Shanta Gabriel, a former English Language teacher, explained select portions from the book in a delivery marked by authentic pronunciation and diction, which, incidentally, demonstrated how English should be spoken. In a discussion with S.R. Madhu, senior Journalist, the author said that spoken and written English among the younger generation are today poor mainly because of lack of qualified and trained language teachers. He believed that this situation must be corrected if India is to retain the unique advantage of being an English-knowing nation. But at the same time, whatever we are taught, we will continue to speak our own variants of English. The book catalogues Indian usages that have crept into Indian English, almost making it a different language from the original. The book would, therefore, come in handy to visitors to India to be able to understand English as spoken and written here – peppered with local expressions and literal translations of culture-related usages and idioms. The book is Inglish Made Easy. 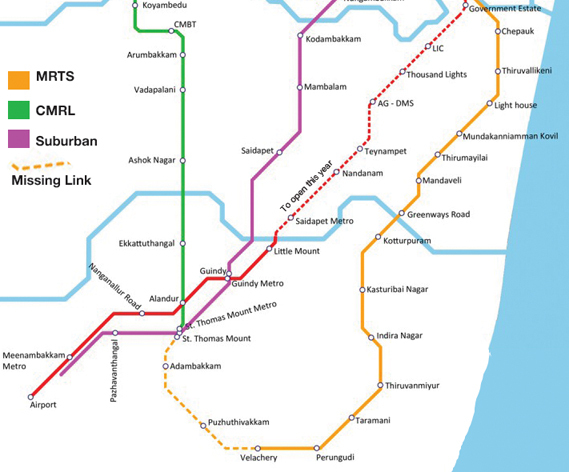 In the 1980s, Madras pioneered in India the elevated railway system, MRTS, the Mass Rapid Transport System. In the first phase, 8.55 km was constructed from Beach to Mylapore. The original estimate of around Rs. 55 crore overshot and ended with Rs. 269 crore due to much delayed construction. Extension of this again got stuck with the State government treating it as a Central project and refusing to share a portion of the cost. The Tamil Nadu Government relented later and, over time, extended it to Velachery. Of course, prices had esclated, and the State ended up spending Rs. 769 crore. We have thus far in this series been looking at lost/barely surviving landmarks in our city, but what of an entire street that has vanished from the map? That may not be fully correct, for Odakkal Street does appear to exist but with a new name and a completely different profile. In its heyday, this was a place that at least every sailor on shore leave was familiar with, for it was one of the most notorious red light areas of the city. Odakkal/Odacaul/Odacul/Vodacaul/Wodacaul Street, for these are the various names by which this particular thoroughfare was referred to in city maps, ran west to east, connecting at its eastern end Moore Street to North Beach Road (Rajaji Salai), just north of General Post Office.